A yummy gift hamper full of organic goodies. SKU: Organic Delight. 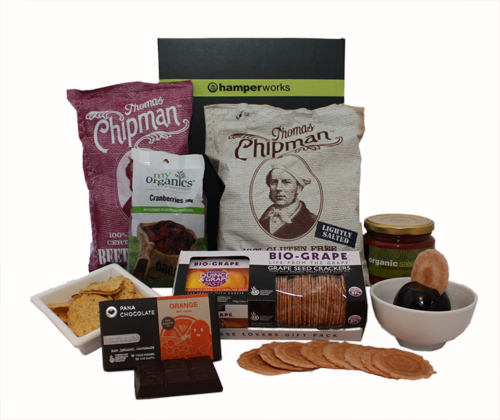 Categories: Gourmet Hampers, Organic and Vegan Hampers, Corporate Gifts, Christmas. Presented in a stylish tray, wrapped in cello with ribbon.